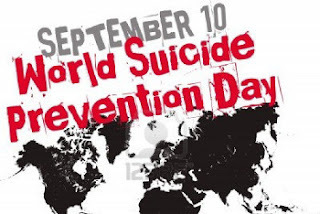 Today is World Suicide Prevention Day, which has existed for the last 10 years. A little over a year ago one of my all-time favorite cousins took her life. And she was one of the last people I could ever have imagined doing that. I've known her since she was born and she was always such a happy, cheerful person. I'm about as stunned by it now as I was when I first heard it had happened. So I want to make sure I highlight this day this year. The possibility of commiting suicide can be roiling beneath the surface of anyone under the right circumstances; no one is immune. In fact, it could happen to you, too. There are signs that someone is contemplating taking their life. We need to be alert for them and not deny them when we see them. Ask them if something is wrong. 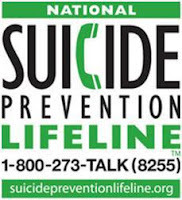 Be there for them to talk to. 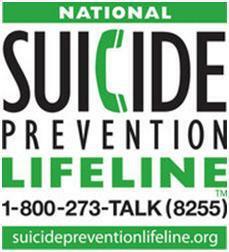 Call the suicide hotline at 1-800-273-8255 for guidance, and encourage them to call it too. And if you don't live in the US, please go to this web page, click on your country, and contact the center in your area. What if you're online and someone seems to be talking about killing themselves? For some time now, many of the major social media sites have had a suicide prevention mechanism in place. Google automatically brings the Suicide Hotline up if you search for self-harm-related subjects. This page tells you how to contact the safety teams for several social media sites.